Founded by a family with 3 generations in the stone and tile industry, Miracle Sealants has become a cornerstone for contractors, tile and stone professionals, and homeowners alike. With a comprehensive line of stone care products including sealers, cleaners, color and gloss products, and abrasives, Miracle Sealants has the right products to meet your tile, grout, stone, and masonry care needs. 511 Anti-Slip Formula is a penetrating sealer designed for the anti-slip protection of all tile and stone surfaces. 511 H2O Plus is a water base penetrating sealer designed for the protection of all surfaces. 511 Impregnator is the original penetrating sealer designed for the protection of all medium to dense porous surfaces. Miracle Epoxy Grout Film Remover is a non-acid cleaner designed for the removal of epoxy grout film from tile, concrete and stone surfaces. Finish Sealer Stripper is a fast acting, high potency stripper designed to remove exaggerated build up of wax finish or acrylic emulsions. Miracle Granite Brite is a no-wax compound designed for the polishing or color enhancement of new and worn granite surfaces, primarily floors. Miracle Sealants Grout Shield, 70 oz. Thanks to this new technology, contractor's and DIYers can save time and money since Miracle Grout Shield takes care of sealing and protecting itself, eliminating the normal wait for grout to dry. Haze B Gone is a safe, environmentally friendly and easy-to-use method for removing Portland cement grout haze and mortar residue from ceramic tile, porcelain tile, glass tile and natural stone surfaces. Miracle Liquid Poultice (Part A & B) is a two part "environmentally" safe, biodegradable cleaner designed for deep cleaning all porous materials and grout including acid sensitive surfaces. 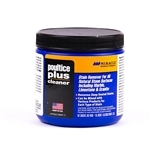 Miracle Sealants Poultice Plus Powder, 1Lb. Miracle Poultice Powder is an easy to use fine, non-acidic absorbent powder that is environmentally safe! Miracle Sealants Poultice Plus Powder, 5 Lb. Miracle Sealants Sulfamic Acid Crystals, 5 Lb. Sulfamic Acid Cleaner is a fast acting mild acid cleaner for tile, textured, non-polished natural and manufactured surfaces. Mira Clean #1 is a concentrated cleaner designed for all surfaces. 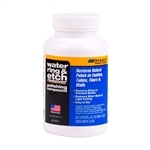 Water Ring & Etch Remover 4oz. is a unique, fast acting polishing powder.